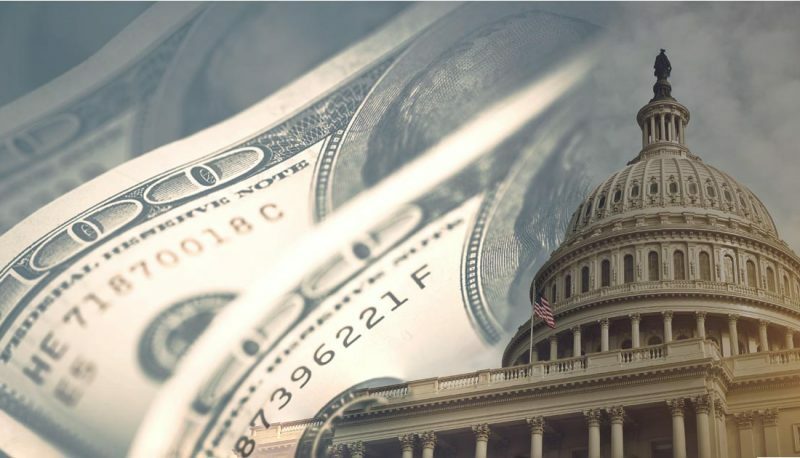 In January, two weeks after his partial government shutdown had begun, reports suggested that President Trump would declare a “national emergency” and use it unilaterally to commandeer the funds needed to pay for his border wall. 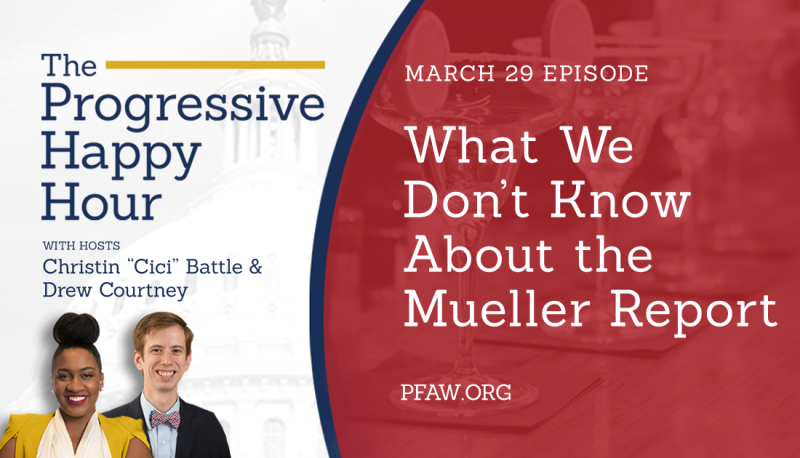 Organizations on all sides of the ideological spectrum, including PFAW, pointed out that such action would be extremely unwise and downright illegal. Such a declaration did not happen in January, and Congress proceeded to pass a budget bill, on a bipartisan basis, that specifically refused to provide Trump with the border wall funding he wanted. In a classic example of trying to have his cake and eat it too, however, Trump signed the budget bill and then proceeded to declare a national emergency, to seize for himself the additional billions of dollars he claims he needs for his border wall or fence. The move is even more dangerous and legally questionable than his threat to last month to take this same action. First, there is even more evidence now that there is no real “emergency” at the southern border, which Trump himself made clear at the press conference when he declared the so-called emergency: Trump stated that he “didn’t need” to declare an emergency to obtain funds to eventually build a wall, but did so because “I would rather do it much faster.” Conservatives and progressives agreed that this statement seriously undermined his emergency claims, with one suggesting that Trump’s statement should be “Exhibit A” in the case against him. In addition, although presidents have broad discretion to declare national emergencies under federal law, this is the first time that such a declaration has been used by a president to try to unilaterally obtain money for something that Congress has specifically and recently refused to appropriate, as Congress did in ending the shutdown. In fact, in a recent interview with Chris Wallace of Fox News, Trump adviser Stephen Miller not only failed to cite any real evidence of an emergency, but also could not come up with a single example where a president “has asked Congress for money, Congress has refused, and the president has then” declared a national emergency “to get the money anyway.” A national leader who disregards what an elected Congress does and unilaterally commandeers the funds he wants to take action on his own is not truly a president, but a dictator. 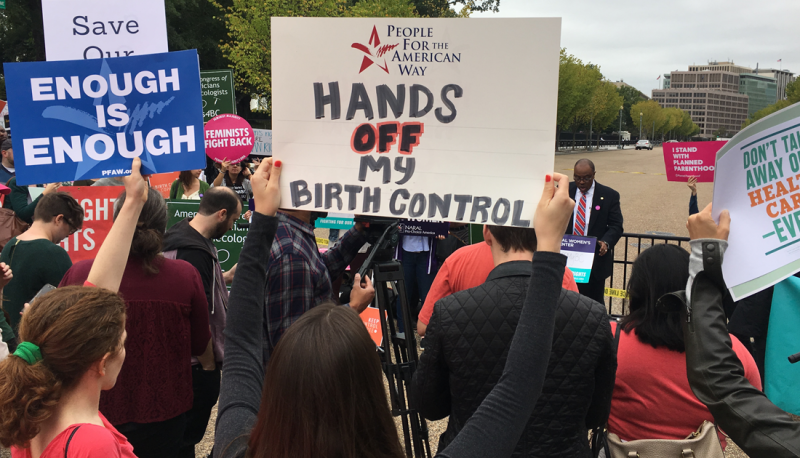 Action has already begun to counter Trump’s misconduct, and all Americans can and should play an important part. 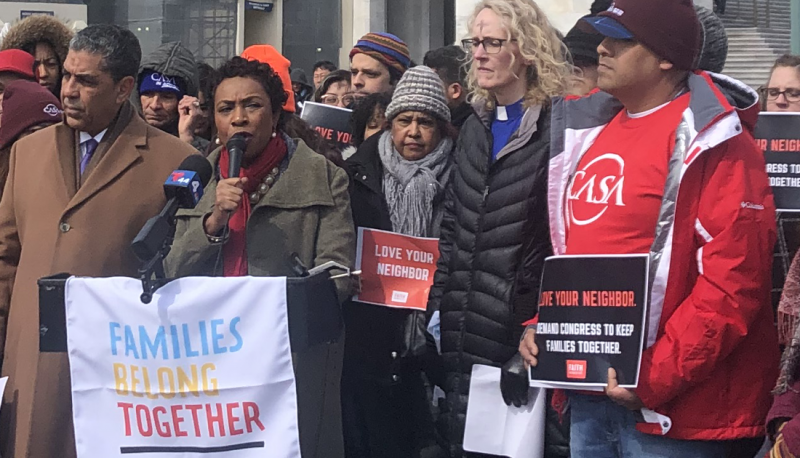 House leaders have announced that they will introduce a resolution to disapprove Trump’s declaration under the National Emergencies Act (NEA). Once that resolution passes the House, the law requires the Senate to conduct a floor vote within 15 days. Some Republicans in the House and the Senate have already expressed criticism of Trump’s action. A strong public outcry from activists around the country can help make a bipartisan rebuke of Trump a reality, and could possibly even help garner enough votes to override an expected Trump veto of the resolution. Thousands of people turned out for Presidents’ Day rallies against the declaration in 48 states on February 18. In addition, House Judiciary Committee Chair Jerrold Nadler has already announced that the Committee will launch an immediate investigation into Trump’s emergency declaration and its alleged basis, and has requested relevant documents from the Trump administration. This investigation could also include the question of who would profit from the Trump border wall; one report has suggested that a Russian company, with ties to both Vladimir Putin and Trump’s family, could benefit. Finally, lawsuits trying to stop the wall have already started and will no doubt continue. Among those suing include landowners whose property near the border could be seized, California and 15 other states, environmental and other public interest groups, and the House itself. It’s important to note that the issue in this litigation may not focus significantly on the legality of the emergency declaration itself, particularly given the broad discretion given to presidents under the NEA. 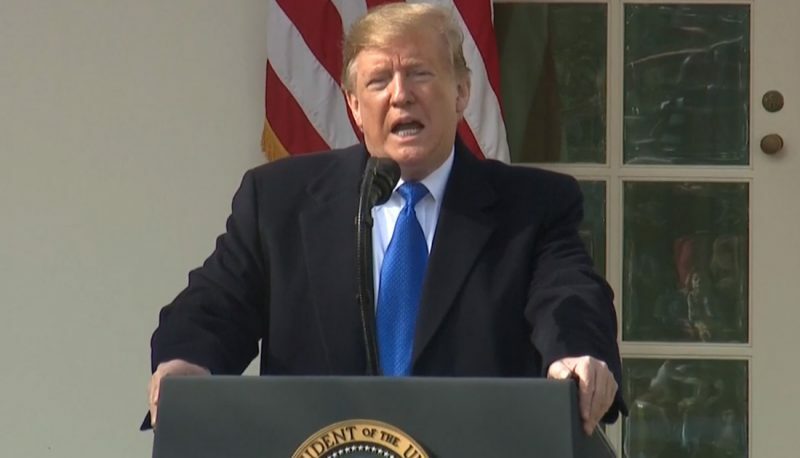 Instead, the key question will be, regardless of whether the emergency declaration itself is valid, whether Trump has the power to unilaterally redirect funding appropriated by Congress for other purposes to build his wall. Experts have pointed out that there is a good statutory argument against the proposition that Trump can use billions of military construction dollars, ordinarily available to assist a president in a national emergency, to build his wall. Lawsuits will also argue that it is unconstitutional for Trump to unilaterally redirect funding for a wall when Congress has refused to do so, despite his declaration of an emergency. How the courts will rule remains unclear, especially with two Trump appointees (Gorsuch and Kavanaugh) now on the Supreme Court. Hopefully, the courts will follow the example of the Supreme Court when President Truman tried to invoke a national emergency in connection with the Korean War to justify his seizure of steel mills in the 1950s. The Court voted 6-3 to reject his claim, including one justice who was appointed by Truman and had been his attorney general. It is crucial that the American people act to counter what Trump has done. Americans must continue to urge members of Congress, both Republican and Democratic, to oppose Trump’s conduct, to condemn it from the floor of Congress, and to file suit in court. Only with that kind of pressure from all of us can we hope to stop Trump’s tyrannical action.